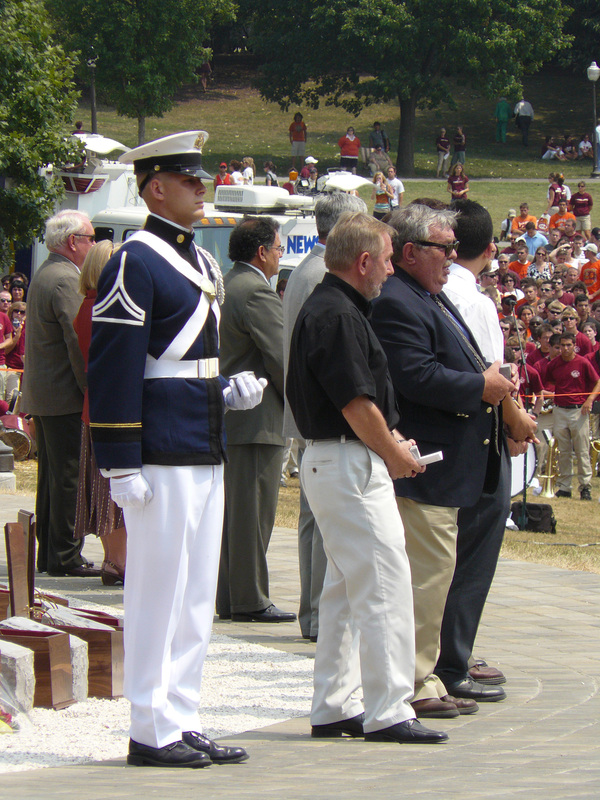 Some of the friends and family members of April 16 victims, including the cadet shown here, wait with hokie stones in hand during the dedication ceremony for the intermediate memorial. The stones were taken from the original memorial that sprang up on this same site after the events of April 16. After a bell was tolled for each victim, the stones were carried back to the seating area. Photo taken August 19, 2007. Brent Jesiek, “Stones in Hand,” The April 16 Archive, accessed April 18, 2019, http://www.april16archive.org/items/show/1158.